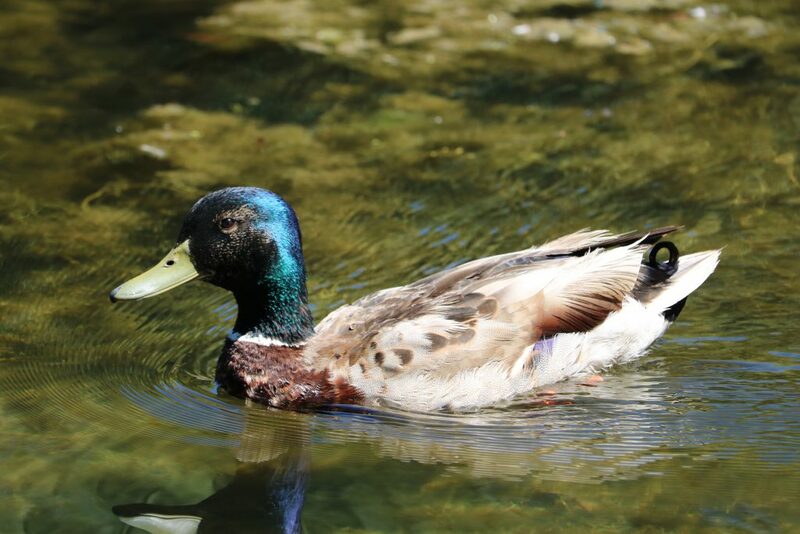 Strolling through the Zoo is an amazing experience, thanks in part to our free range birds — including the ducks around the pond. Ducks are specially suited to live near the water. They have webbed feet which can propel them swiftly through the water and flattened bills to strain out materials from the water to eat. 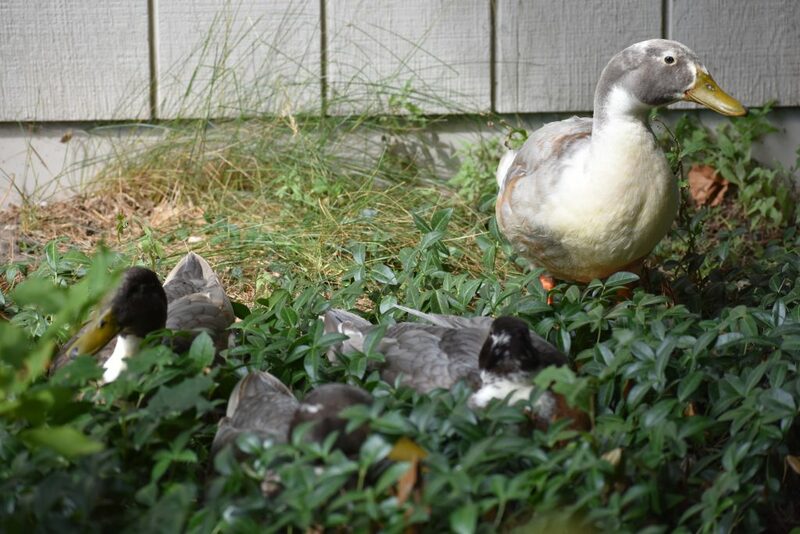 Domestic ducks are too large to fly, but wild ducks are able to migrate. Males often have a curled feather at the tip of their tail.